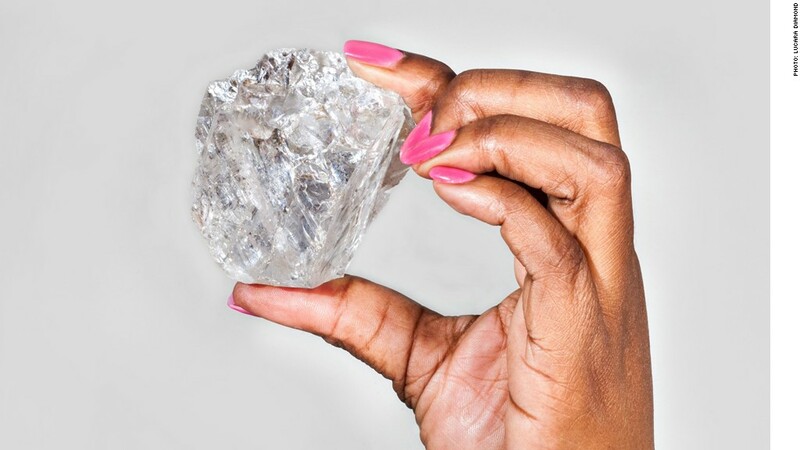 One of the world's largest diamonds has been sold for $6.5 million. The stone has been dubbed the "peace diamond" because much of the proceeds will go to help the village in Sierra Leone where it was found. In past decades, the illegal trade in "blood diamonds" was used to help fund the country's devastating civil war and other African conflicts. Rather than sell the peace diamond to smugglers, the villagers brought it to the attention of the national government, which arranged for it to be auctioned. One of the world's biggest luxury jewelers, Laurence Graff, won the bidding in New York on Monday. The "peace diamond" was discovered in the village of Koryardu in eastern Sierra Leone. 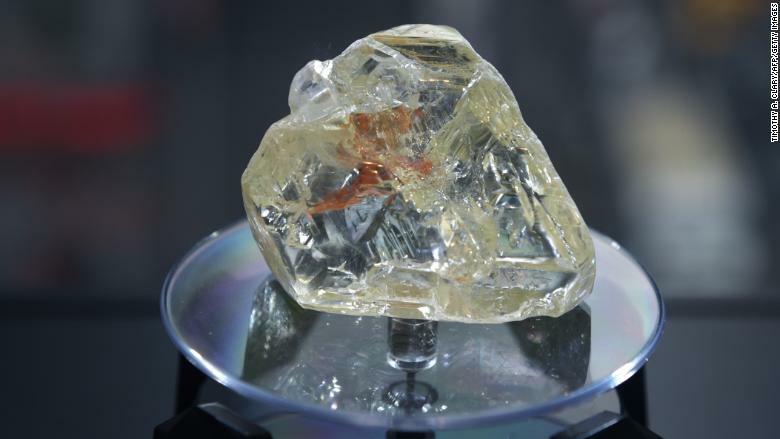 The final price is hardly a paltry sum, but it falls short of what the Sierra Leonean government hoped the 709-carat gem might raise. In May, the government turned down a bid of $7.8 million at an auction in Sierra Leone, saying it could get "fair market value for Sierra Leone's diamonds" elsewhere. The stone is the third largest diamond in the country's history and the 14th biggest ever discovered worldwide, according to the Rapaport Group, the jewelry organization that helped bring the stone to auction. 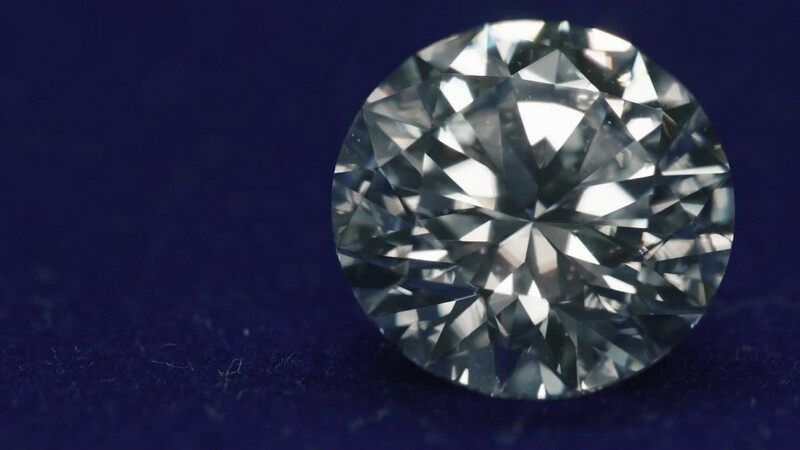 In the past, similar sized rough diamonds have sold for almost 10 times as much, said Tobias Kormind, managing director of 77Diamonds.com, an online diamond jeweler. The 813-carat "Constellation" diamond, for instance, fetched $63 million last year. So why didn't the peace diamond go for a higher price? "The top end of the diamond market is not at its height," Kormind told CNNMoney by email, and the gem may not be as attractive as its sheer size suggests. "The peace diamond is known to be a very complicated stone," he said. "Larger rough diamonds don't necessarily translate into large diamonds when they are cut and polished. It's all a question of the largest cleanest stone that can be gleaned from the rough. If you can't yield a single large diamond of very high quality, and instead have to make several stones out of the large stone, that decreases the value enormously." Despite the disappointing sum it fetched, the peace diamond is being held up as an example of what can happen if people digging for precious stones sell them through official channels. Earlier this year, Sierra Leonean President Ernest Koroma said he wanted to "thank the local chief and his people for not smuggling the diamond out of the country." The diamond, which was discovered in the village of Koryardu in eastern Sierra Leone, represents "our hope for a better future as the resources of Sierra Leone fund growth, development and jobs," said Pastor Emmanuel Momoh, one of the diggers who discovered the diamond. More than half the proceeds will go to government funding, including "vital life-saving infrastructure to the diggers and their communities who currently have no clean water, electricity, medical facilities, schools and roads," Rapaport Group said. About a quarter of the money will go to the diggers who found the stone, and the remainder will be used for a government program called the Diamond Area Community Development Fund.